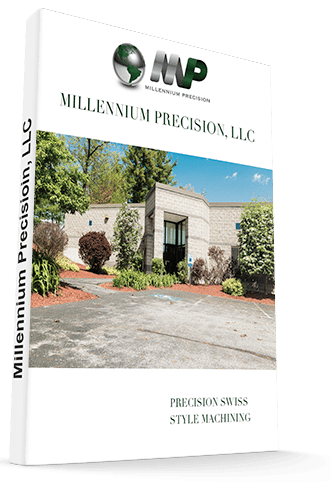 Millennium Precision takes great pride in our ability to assist our customers in the design process, especially in the push from final design to final product. With a combined 50+ years of experience, our engineering support team is fully capable of aiding in the final manufacturing engineering design to save commercial and industrial companies valuable time and money. With material costs consistently rising, even seemingly insignificant changes such as re-orienting a part can lead to thousands of dollars in savings during a production run. Machining time is often decreased as well, which helps deliver final parts in a shorter time frame. Many of our customers have previously attempted to have their manufacturing done offshore, only to find that differences in qualifications and material certifications combined with language barriers, lack of face time, time zone differences, and poor inspection processes often required more than offset the benefit. With all of our services offered in-house at our plant and parts machine shop in NH, Millennium Precision is proud to deliver great engineering support and finished products locally, ensuring that our customers are pleased throughout the manufacturing process. Coupled with our precise manufacturing techniques and our ISO 9001:2015 certification, our engineering support division allows for our customers to be confident in the delivery of properly scrutinized parts before and after the manufacturing process.